Great Value - £36.00 - Great Price and all profits go to charity! This programme has been designed using my extensive knowledge as a hypnotherapist, my work as a Hypnobirthing practitioner, feedback gained from couples who have attended both Hypnobirthing classes and private Hypnosis for Childbirth sessions with me and attending women during their labours. Not to mention my own amazing labour and birth. In an ideal world all women who want to attend Hypnobirthing classes would have access to them. Sadly this is not the case and despite practitioners offering payment plans and discounts they are still not affordable for so many. My aim therefore with this programme is to bring hypnosis techniques that support childbirth to the masses. I believe that by offering this programme at such a fantastic price that it will be easily affordable for some and ‘in reach’ for others. I have been able to offer it at this amazing price by making it an online product bringing you aproduct of quality that is great value for money. * How fear and anxiety negatively affect your birthing hormones. have a calm, comfortable birth experience. * How to tap into your own natural birthing instincts. 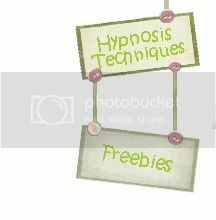 * What hypnosis is and what it isn't. * The impact the mind and your imagination has upon your body and what you experience. birth experience, including ‘eyes open hypnosis’. * How your birth companion can support you. 38 weeks and still used the techniques successfully). Each week you will learn specific techniques and carry out assignments that incorporate these 5 elements. You will then be guided to listen to the appropriate mp3(s) to support your learning and practice for that week. At the end of your training period there is a maintenance programme for you to follow. This technique is simple, yet very powerful and supports the breathing techniques you will learn in the programme. You can read more about it on my blog and can experience it for free. Teaching you a simple yet effective technique to protect you from outside negative influences. When you are in labour and giving birth to your baby any stress, anxiety or fear that you have, can actually change how the muscles in your uterus are designed to work. Instead of the muscles that need to dilate being relaxed they instead constrict and tighten and it is this that causes the great discomfort that we hear about during labour. This powerful hypnotic session will enable you to release any emotional issues, fears and concerns that you have, clearing your mind of all potential negativity, in order to enable you to focus on your labour and birth in a positive confident way. The Glove Relaxation mp3 takes you through a guided visualisation that focuses on creating a numbness similar to the sensations that you would have should you dip your hand into a bucket of icy slush. It will teach you how to numb your hand and then how to transfer that numbness around your body. ‘Glove Relaxation’ is designed to take you into a very deep state of relaxation that will help you to manage any discomfort should you have it during your pregnancy. It can then also be used to create numbness around the area in which you are feeling your surges during labour detaching you from the sensations so that you are only aware of pressure, tightening or pulling up. As you listen to this mp3 you will discover how to manage any discomfort during your pregnancy, learning how to create a comforting, tingling, warmth within your hand of choice that will represent your powerful endorphins (your body’s natural pain relief) and then using your breath you will be able to spread those sensations to any part of your body that you want to make more comfortable. Setting those endorphins to work, healing, relaxing soothing. And with practice you will easily be able to tap into these sensations and use them during labour to create a lovely warm, tingling, cushion of comfort around your abdomen and lower back enabling you to feel calm and at ease during your surges and so confident and in control. As the name suggests this mp3 uses the imagery of the waves of the sea for you to focus on and relax with during your surges when you are having your baby. Many women find a connection with the sea and a link to the waves as their bodies are moving in their own wave like motion and by focussing on your sea of peace you will allow your conscious minds to drift off and relax leaving your body and baby to concentrate on their role without any interference from you. Listening to this regularly during your third trimester will support your positive expectation of birth and enable you to relax deeply by your sea of peace during labour and birth. Whilst listening to all of the other mp3s in this programme you will be subconsciously linking deep relaxation with the music that is being played in the background. It is therefore available on it’s own for you to listen to during your labour should you wish. The mp3s are also available to purchase separately in order for you to enhance any other way in which you have learnt about hypnosis for birthing. How does the online forum work? I am co-admin on a wonderful board on www.babycentre.co.uk and what I love about the time I give to this board is providing the opportunity for those who are unable to attend a course to ask questions as they learn about hypnobirthing. From the many private and public messages of thanks that I get that personal support really does make all the difference. It is therefore important to me that I provide an opportunity for anyone using this Home Study Programme to have access to support. You will therefore be sent an invitation to my private Hyp 'n Happening Facebook Group where you can post any questions you may have and meet other mums and mums-to-be using hypnosis for their birth preparations. How will I receive the programme? Once you have purchased your Hypno 4 Birth Home Study Programme you will receive a separate email with a link to a Folder containing your workbook, mp3s and details on how to join the online forum. Please check your Junk Mail if this has not been received within 24 hours as your email provider may have inadvertently blocked the email. All profits of this programme go to CASPA a charity who run a variety of clubs for children with Autism, and without whose support our family would not be able to cope. I looked back at my very first blog post and found it was titled 'where to start'. Since then I've spent many happy years supporting women through fertility, pregnancy and birth and so it is with very mixed feelings I look for the words to find out 'how to end'. I'm not completely turning my back on this amazing work as I launched The Wise Hippo Birthing Programme with my wonderful business partner Tamara Cianfini in May 2013. However, instead of working directly with expectant clients my role is now training and supporting our many brilliant Wise Hippo Instructors. This hasn't been the only change that has happened to me in the last couple of years. In January 2014, after a year of assessment, my daughter was diagnosed with Autistim Spectrum Disorder. Having already had a very difficult year in school, and with her headmaster saying he didn't feel that they were the right school for her going into year 3 (correctly so), I made the decision to home educate her. That something is the client facing/therapy side of my work - Tums 2 Mums. Whilst it is sad it also feels very right. I know I've made a huge difference to many peoples lives over the years but I also know that I can continue making a difference through The Wise Hippo. I will also find more time to write on my other blog Evan in a Box about my life with my gorgeous, eccentric little girl, who has benefitted so much from home education, along with the amazing support from CASPA. So there will be no more blogposts but please do use the knowledge and freebies contained within the posts that I've written over the years. If you are pregnant and looking for fantastic birth preparation check out The Wise Hippo Directory. If you are a parent with a unique kid (not necessarily ASD) you may like to join me on my Facebook group 'Your Unique Kid'. Wishing all readers of my blog the best in achieving all your dreams and desires. One of the most important things couples learn when they attend Hypnobirthing sessions with me or use my Hypnobirthing Home Study Programme is that they are the ones in control of their birth, that every decision they make should be an informed one, rather than feeling that they have been 'TOLD' something 'WILL' happen a certain way. Now this doesn't mean that we never agree with doctors and in fact sometimes couples need to put their baby's birth completely in the hands of the medical team (we are very lucky to have skilled doctors when there are true medical emergencies), but should this arise couples maintain their sense of control by understanding that this is completely the right thing to do. To ensure this happens I teach couples to ask questions, not to be adversarial, but to help doctors see them and their baby as unique individuals and for their baby's birth to be viewed appropriately in respect of that. What are the benefits of following the course of action suggested? What are the risks involved? In particular ask what the IMMEDIATE dangers and specific medical indications are (ie something that is actually happening not something that MIGHT happen). Ask about the alternatives (and the benefits and risks of these). Follow your instincts. This is important because it doesn’t matter what anyone else would do in your situation it is about what feels right for you personally. Ask what would happen if you did nothing. Buying time even if it is for 15 minutes intervals can make the difference between intervention or not. Smile is there to remind you to remain calm and in control. Everyone is on the same team and that is for you and your baby to be healthy. Asking questions isn’t about being antagonist but getting consultants to think outside the box and not treat all women the same. By asking questions and making decisions based on the answers you are given you will maintain control of your baby's births. As I mentioned previously even if the decision is to hand your birthing over to the medical team you will have maintained your control by ensuring that it is the right thing for you and the baby. If you do accept intervention at any point ensure that should this lead on to the suggestion of more intervention that you use your BRAINS again. If conversations around intervention are required prior to labour starting I would strongly recommend that women take their partner with them to any appointments as this can become very emotional for a pregnant woman. Also, during labour ideally it will be the birth partners role to ask the questions and for the couple to then discuss the answers and make the decisions together. Use your BRAINS, be informed and make the right decisions for you and your baby. 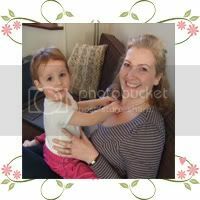 A quickie post to share a link to the Hypnobirthing Stories on my website as I've just added some new ones. Last night I felt very privileged to attend a talk by Michel Odent. For those who don't know him he is a French Obstetrician and leading pioneer for natural childbirth. He is now 81 years old and is an inspiration in himself but the way he talks about birth is captivating. As I listened though I actually became more and more baffled at why the majority of medical professionals do not appear to share the same views as him. His work is proof alone but it is also all just such common sense. Of course we share this same common sense view of birth during hypnobirthing classes, so none of what he was saying was particularly new information for me, but I loved the way he explained certain things and I felt I wanted to share this with my readers. Odent states that as birthing is an involuntary process we cannot help it but we can inhibit it and knowing this we need to protect it from that happening. We can learn about this by, as the title of this posts says, looking at the birth process from a physical perspective. Language stimulates the neo cortex - Silence (or more specifically lack of communication) is a basic need of labour. Language in particular when expressing a question needs activity in the neo cortex to prepare an answer. To further highlight this he asks us to imagine a couple making love, they are in an orgasmic state and the women ask the man "what do you want for dinner". No further explanation needed ;-). Light can stimulate the neo cortex - the darkness hormone melatonin reduces neo cortex activity. Emotional states are contagious - if a labouring woman is being supported by someone with high adrenaline levels this may cause her to mirror their hormone activity. The dad/birth partner to be the labouring woman's advocate and deal with any discussions that need to take place. To look at ways to dim the lights (particularly in a hospital room) but if this is not possible by using the hypnosis techniques the mum is able to become much more internally focussed and therefore less aware of outside stimuli. The dad to protect mum from unnecessary interruption and be a gentle loving support. Couples to decide where the best place is for them to birth and also to understand that they are always the ones in control of their birth experience (even if they hand their birthing over to a doctor because of true medical circumstances if they have asked questions, got answers and made the decision for themselves they will maintain that control). Feeling safe and in control is key to the body functioning normally during birth. Dads/birth companions are also taught relaxation techniques alongside the mums as we know their adrenaline is catching. They leave the classes feeling fully confident in their role and with the skills to remain calm, relaxed and in control throughout the birth of their baby whilst being of wonderful support to their partner. Odent smiled at the end of his talk and I had to smile with him when he said "we need modern science to rediscover and explain what is simple and common sense". In my previous post I wrote about a useful technique to help protect you from others negativity called the Cloak of Protection. For pregnant women their beautiful bump can be like a shining beacon for all and sundry, friends, family, colleagues and even strangers to share their horrors and fears of birthing. I tell my clients to politely ask others to not share all this negativity and if they don't to place their fingers in their ears and sing lah lah lah until the offending person stops. If you are reading this and you are not pregnant you can still use the mp3 to learn the technique but just set the intention beforehand to ignore the references to pregnancy and birth. I am a Hypnomummy! I’m married to Jim and we have an amazing, wonderful, gorgeous daughter Evan. I am incredibly lucky as I get to work at a job that I greatly enjoy whilst being able to fit my hours around looking after Evan and very much getting the best of both worlds. It needs a lot of energy and a fair bit of organising but totally worth it. If you need help getting your Tums 2 Mums Blinkie Click Here & scroll down to "get your free blinkie for blogger" for step by step instructions.